CHICAGO – Christian Pulisic is scheduled to be back with the U.S. national team, while Michael Bradley was dropped again just a month after his return. Entering what are likely his final matches in charge of the Americans, interim coach Dave Sarachan announced a 28-man roster Tuesday for exhibitions at England on Nov. 15 and against Italy five days later at Genk, Belgium. 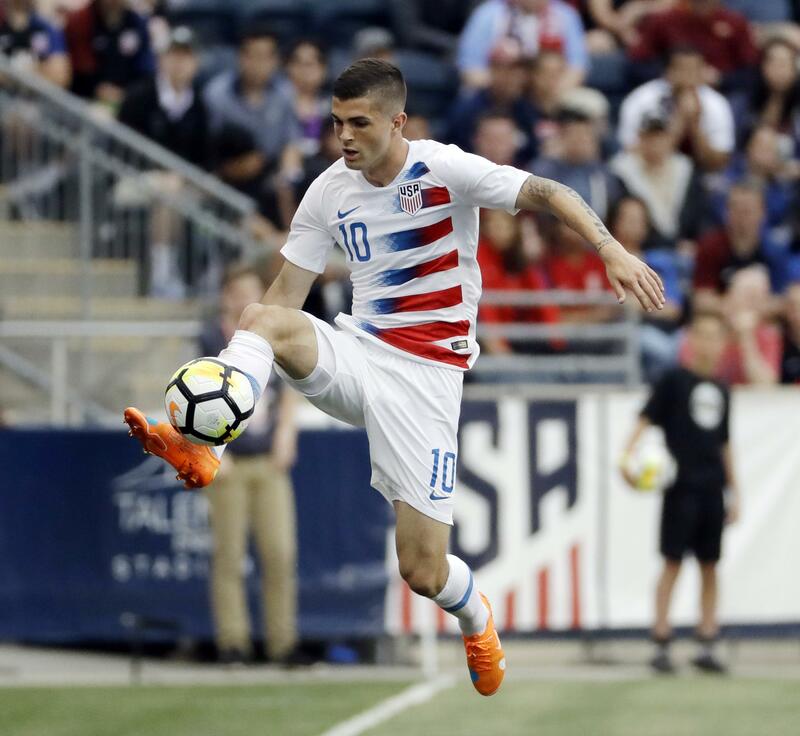 Pulisic has played just once for the U.S. since the October 2017 loss at Trinidad and Tobago that ended the Americans’ streak of seven straight World Cup appearances, a May 28 exhibition against Bolivia at Chester, Pennsylvania, near his home in Hershey. The 20-year-old midfielder has missed games because of injuries and wanting at times to concentrate on his career at Borussia Dortmund in Germany. Sarachan has given debuts to 22 players in 10 matches since taking over when Bruce Arena quit after the defeat in Trinidad, but last month he brought back the 31-year-old Bradley and 34-year-old goalkeeper Brad Guzan. Sarachan kept Guzan for these games but didn’t see a need for Bradley. These are the last matches this year for the Americans. Earnie Stewart, the new men’s team general manager, has said a new coach will be hired by the end of the year. Midfielders Weston McKennie and Tyler Adams also are returning from injuries. Adams, a New York Red Bulls star, is among seven players still involved in Major League Soccer’s playoffs, joined by Red Bulls defender Aaron Long, Atlanta goalkeeper Brad Guzan and midfielder Darlington Nagbe, Columbus goalkeeper Zack Steffen and midfielder Wil Trapp, and Portland left back Jorge Villafana. Sarachan picked a larger roster than usual because six of the MLS players have Sunday night games and will arrive late. Sebastian Lletget is on the roster, and the 26-year-old midfielder could play for the U.S. for the first time since injuring his left foot during a March 2017 World Cup qualifier against Honduras. He attended a September training camp but left because of an abdominal injury. Goalkeeper Ethan Horvath also returns and could play for the first time since Sarachan’s first game, a 1-1 tie at Portugal last November. Columbus’ Gyasi Zardes, the top American scorer in MLS this season, was bypassed. Fifteen of the players are based in Europe, 17 are 23 or younger and 18 have made 10 international appearances or fewer. The average age is 23 years, 241 days. Published: Nov. 6, 2018, 9:15 a.m. Updated: Nov. 6, 2018, 11:04 a.m.